In these situations it is important that your attorney understand the difference between blood draws collected for the purposes of medical treatment vs. forensic purposes. In many situations, hospitals will use an alcohol based solution to cleanse the injection area prior to collecting the sample and cannot document a proper chain of custody for the sample once it is collected. Your attorney should review the hospitals operating procedure with regards to blood samples to determine possible pre-trial motion issues along with issues at trial. If a person is charged with DUI following an accident, the attorney should also review what occurred prior to the person’s arrest or his/her transport to the hospital by police or in the ambulance. In many situations, accused individuals will exhibit minimal signs of impairment or movements that are more consistent with traumatic injuries rather than alcohol intoxication. Further, law enforcement or police may inaccurately administer field sobriety tests or improperly interpret their results. For example, frequently police indicate that an intoxicated individual exhibited horizontal gaze nystagmus (HGN) but there is a substantial amount of medical literature which indicates that 50% of persons exhibit this same quality for non-alcohol impairment reasons. 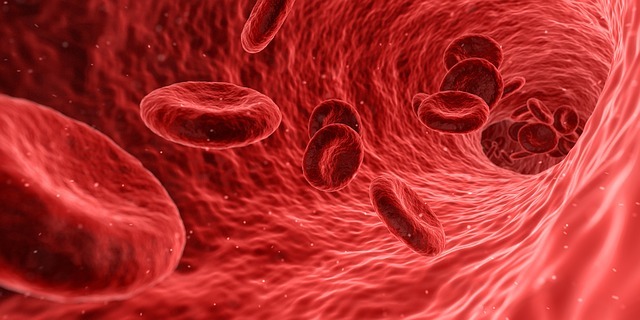 Another example of an issue which can call into question the validity of blood draws taken for medical as opposed to forensic purposes is the cross interference of lactic acid contamination, which is frequently elevated within a person’s body following a traumatic incident or accident. Lactic acid interference, along with isopropyl alcohol, can drastically elevate blood alcohol levels within a person’s body. Finally if the specimen is not properly refrigerated or the hospital cannot document the manner of the refrigeration, it leaves open the possibility for the defense to argue that fermentation contaminated the sample. The bottom line is that hospital testing is frequently less comprehensive than forensic testing in the reliability and measure of a certainty (margin of error) is therefore, far greater. If you’re charged with drunk driving following a vehicle accident, you face a mandatory minimum of 2 days in jail, $500 fine, and a 12 month license suspension, unless you’re eligible for a pre-trial diversion program (ARD). Even if you’re eligible for a diversion program, you’re still subject to a 60 day license suspension and a likely civil lawsuit where the injured party will seek compensation for their medical expenses and possibly their pain and suffering. If medical evidence is an issue in a drunk driving case, your lawyer will likely need to obtain a medical doctor, pharmacist, or some other individual with a background in medical testing. Without this expert your attorney can’t assert any type of defense or argument related to improper medical testing, contamination, or interference. For more information on drunk driving, I encourage you to keep reading my blog and download a free copy of my book.